In medieval Japan, it’s a hard life for a stray cat. Every day is filled with struggles and prejudice, from oppression by fellow cats working for cruel masters to extortion by catnip druglords. But being a stray also means incredible pride and independence. 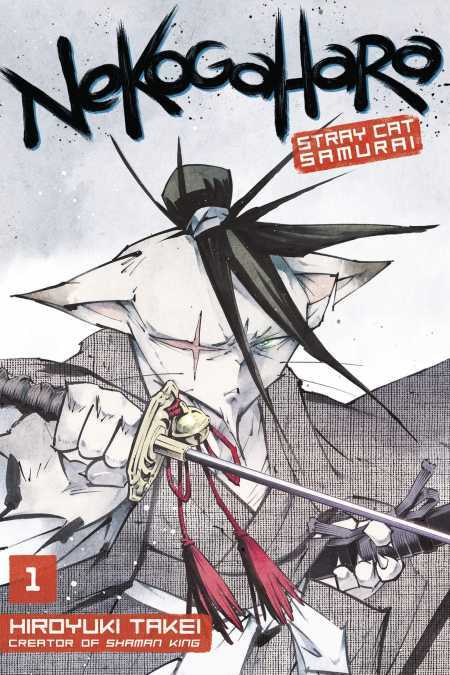 The wandering samurai Norachiyo has no master, though he still wears the telltale bell of a cat who has a “person.” This rogue warrior travels across Japan, protecting the weak and cutting down those who have forgotten the virtues of being a stray—all with unrivaled swordsmanship. Although Norachiyo leaves little trace but his fearsome reputation, this enigmatic warrior has made plenty of enemies who are more than willing to get their claws on his head. Will Norachiyo’s past catch up with him, or can he spend his nine lives in freedom?